Concealed stud front fastening. Set in sleeves. 2 breast patch pockets with stud fastening flaps. 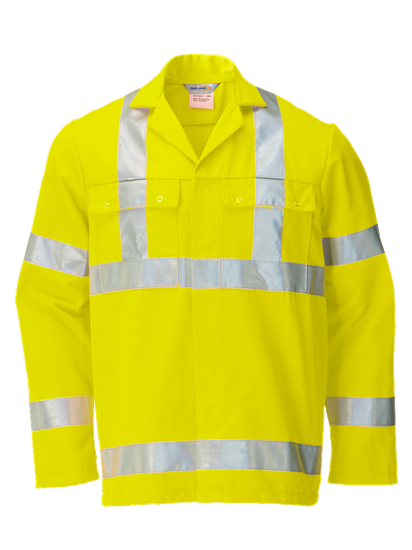 2 bands of reflective tape around chest, sleeves and over the shoulders. Action back. Plain hemmed sleeves.